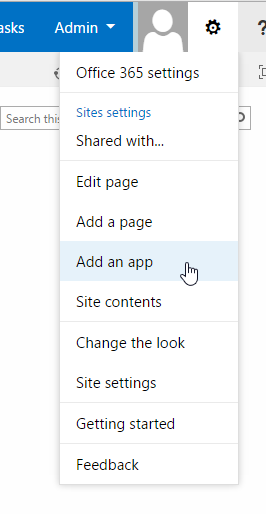 NOTE: Do not attempt to deploy most apps as a Shared app, as it will not add the necessary ribbon buttons and content types to the host site. NOTE: On-premises SharePoint 2013/2016 customer will be able to use only some of the apps. Provider-hosted apps, such as Ultimate Forms, will not work for those customers. On-premises versions of the products should be used instead. 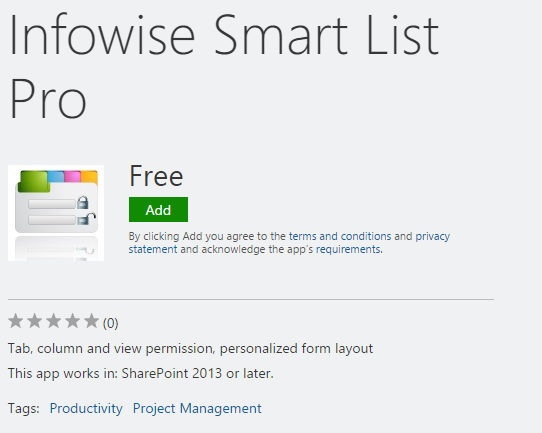 Click on "Add an app"
In the search box in the top right corner enter the app name, such as "Infowise Smart List Pro" and click Enter. To add an app directly from our site, click on "Get from Office Store" under Download. In the app page, click on the Add button, then follow the instructions on the next page. NOTE: some apps require an additional app, Infowise App Support to be download and installed from our site to be functional. In this case, it would make sense to simply download and install the original app from our site, in that case you won't need to additional support app. App Catalog is a special SharePoint site functioning as a enterprise-wide repository of approved apps. You can upload .app package files into a special library within the catalog, making these apps available to all sites. 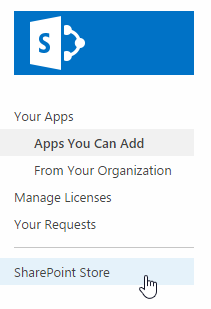 You can download the app package (.app file) and upload it to your internal App Catalog. 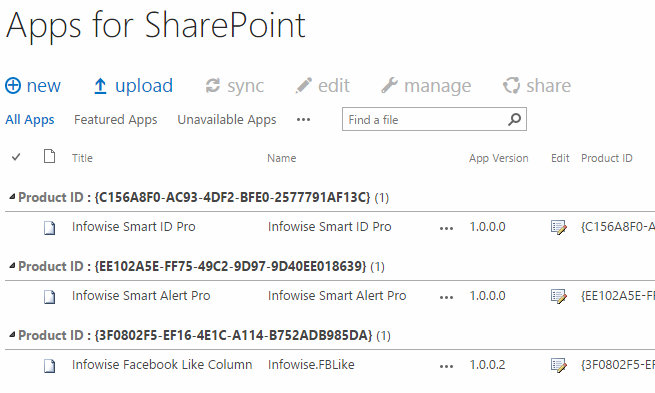 Read here for information on setting up your app catalog on premise or here for information on setting your app catalog in SharePoint online. Download .app file from the product page on our site. NOTE: Some Infowise apps can be installed both in Office 365 and on premises, while other apps will only work in Office 365. Find more information on the product page.